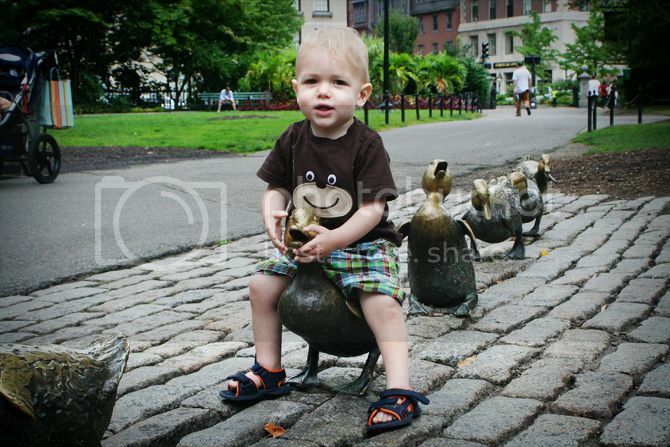 Have you read the children's book "Make Way for Ducklings"? 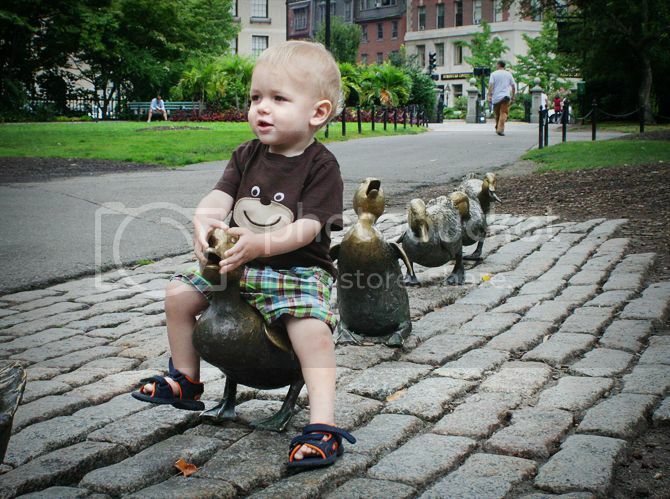 It's a story about some ducks that live in the Boston Public Garden. If you visit the Garden, there are cute little duck statues in there that kids love to sit on and grown-ups love to photograph. 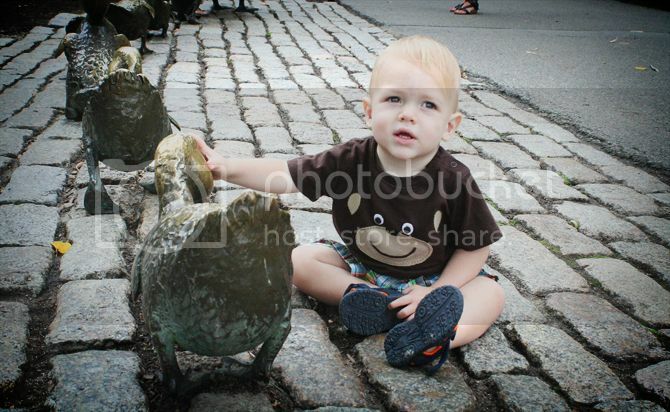 We lived in Boston for three years, and I never had any reason to go see the ducklings in the Public Garden. Finally, I have a kiddo who thinks little statues are interesting and fun to sit on. Finley and I made a quick trip up to Boston to see friends (and have my favorite pasta.) We wandered around the gardens with Aunt Laura for awhile before we found the ducks. Finley even looked at the camera a couple times (sort of)! It was so fun to get to introduce Finley to this little Boston landmark--even though I am sure they are germy from hoards of baby rumps sitting on them. I tried not to think about it. And a special thanks to Alex y Heidi, our favorite Boston cods, for sending little #5 the book. He'll be reading it on his own in no time! In these photos, Finn's shoes don't look too big. Also, my sister commented from her iphone while driving across Kansas. Too cute. Can't wait to see you next weekend. Sorry I was lame and didn't make the trip down! Hope to see you all soon!